The folks over at Parents.com have compiled a great list of fun things to do with your little sprouts during the winter months when all you can see is snow. Have a look through the list and let us know which one is your favorite! Our favorite is the Shake It Up! 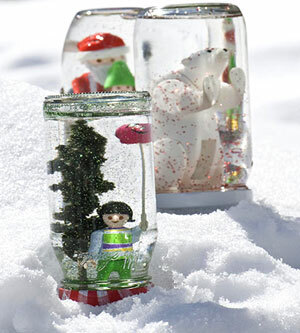 Use strong glue to attach a plastic toy to the inside of a jar lid, then add baby oil and glitter for a homemade snow globe; it makes a fun souvenir of a great day. Check out the full post here! !